During the day of July 26, 32 cases of firing by militants on positions of the Ukrainian Armed Forces were recorded in the zone of the Joined Forces operation. As a result of firing one Ukrainian soldier was killed, another one was injured, the press service of the JFO headquarters reported on Facebook. “The enemy opened fire 32 times on the positions of our troops. Heavy weapons were not used. Over the past day during the fighting, one soldier of the Joined Forces was killed and one was injured,” reads the report. Thus, the terrorists opened fire on the positions of the Ukrainian military in the areas of settlements Krymske, Horske, Luhanske, Novoluhansk, Svitlohorsk, Pivdenne, Novhorodske, Peski, Vodyano, Lebedynske, Hnutove, Chermalyk, and Shyrokine. Near Hnutove, militants used anti-tank guided missiles. 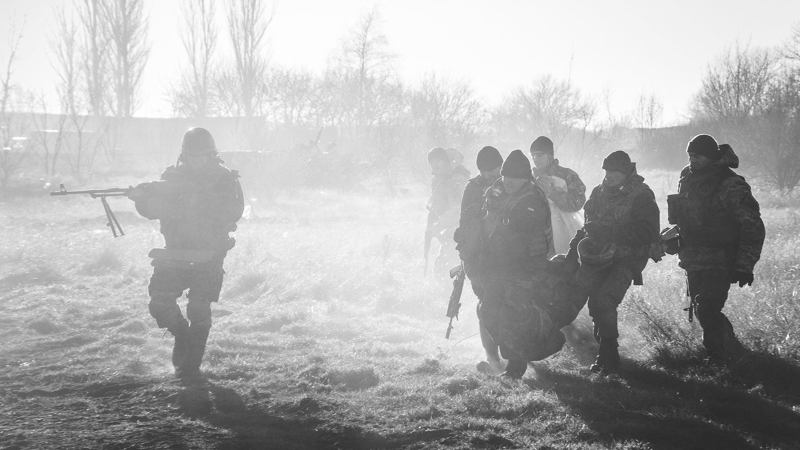 The JFO headquarters further noted that two militants had been liquidated for the day, two more were wounded. Reportedly, militants continue to form the so-called "mobilization reserve" and massively check data among the male population of the occupied territories of Donetsk and Luhansk regions at the age of 18 to 55 years. Terrorists threaten residents with "criminal liability" for evading "service".